We hope you can help us raise funds for the Flagler Hospital Foundation Cancer Patient Funds. Join us in our 5th year of working out for a cause that helps those right here in St. Augustine fighting cancer. Join us for the 5th Annual Cancer Smash workout. Bring the family, ages 7+ are welcome to participate in a fun workout that will be scaled for all levels and ages! Come sweat for a good cause! 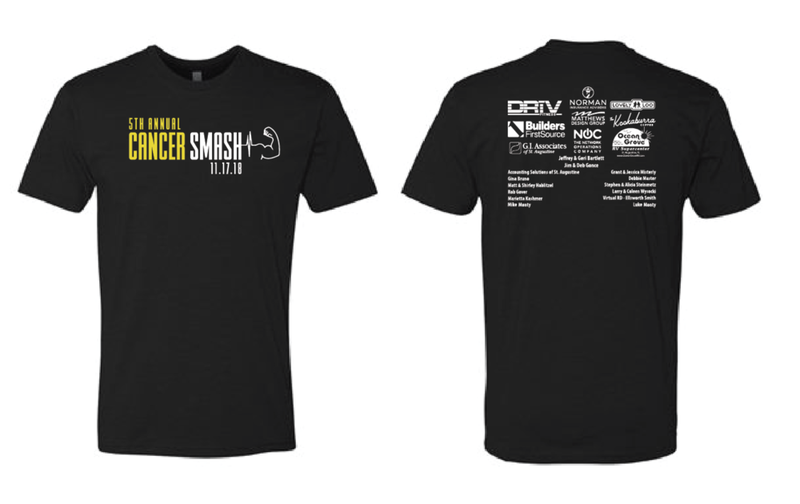 Free Shirt for 1st 50 to Register! All Dollars go Straight to the Cancer Patient Funds!